This is the size 4 vine and leaf ring in the series. 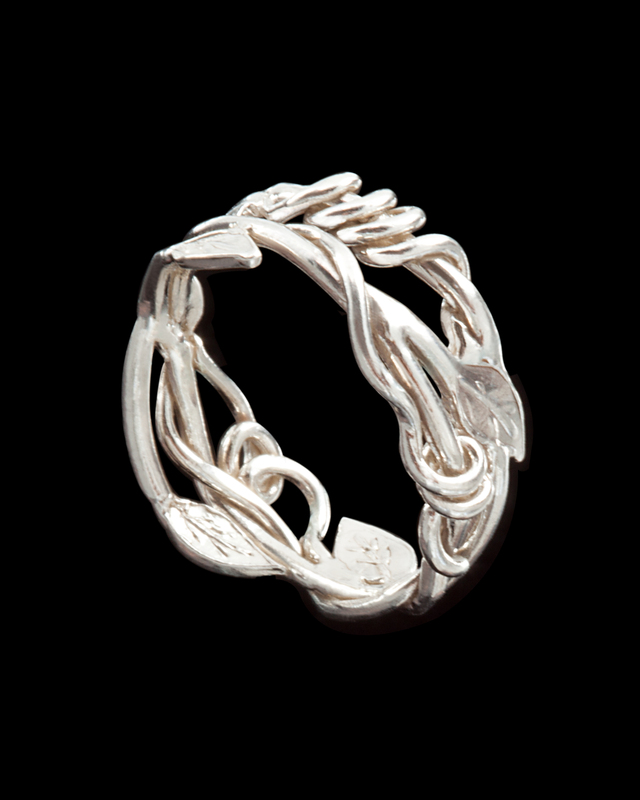 Every size is made individually so each vine and leaf ring is different depending on what size it is. The sizes run from size 4 to size 9. They can also be adjusted to half sizes. All of the vine rings haven't been photographed yet so if you don't see the size you are looking for please contact us.